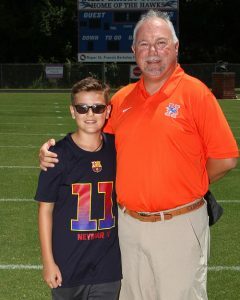 David Morbitzer, originally from Lexington, South Carolina, has been at Hanahan since 2008. Coach Morbitzer graduated from The Citadel in 2008 with a degree in Education Social Studies. 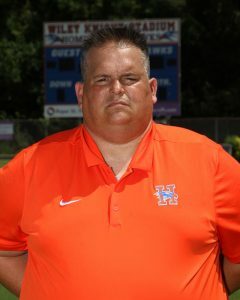 In his time here at Hanahan, he has coached the offensive line and coordinated the offense. Over his tenure, the Hawks have had five Region Championships. He is the Varsity Track and Field Coach where he has won 2 State Championships (2017-Men’s & 2011- Women’s). 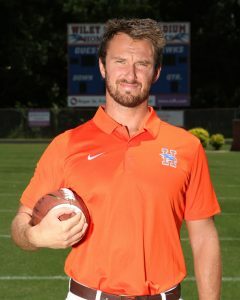 He was also named the SCCCTFA Coach of the Year honors twice (2017, 2011). 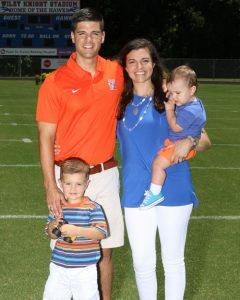 Coach Morbitzer is married to Katherine Morbitzer and has two sons, Grady and Caleb. Brian Mitchell, originally from Battle Creek, Michigan, has been at Hanahan since 2000. Coach Mitchell graduated from Eastern Michigan University in 1999 with a degree in Business Education. 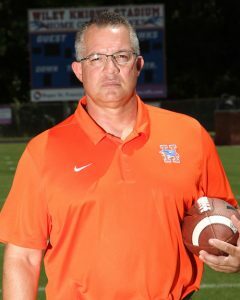 In his time here at Hanahan, he has coached multiple positions which include: Quarterbacks, Running backs, Wide Receivers, Linebackers, and Defensive Backs. Over his tenure, the Hawks have won ten region titles and played for a Lower State Championship in 2003. 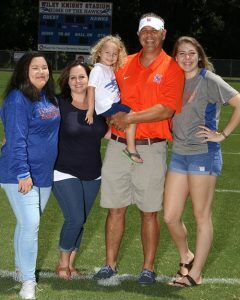 He is the Head Varsity baseball coach and runs the Hanahan Invitational Tournament, a nationally recognized event. 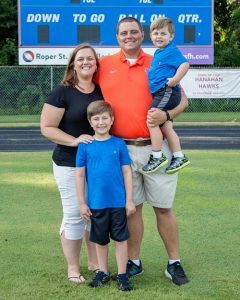 Coach Mitchell is married to Stephanie Mitchell and has two sons, Camden and Braylon. Coach Blanchard is entering his 29th year of coaching. 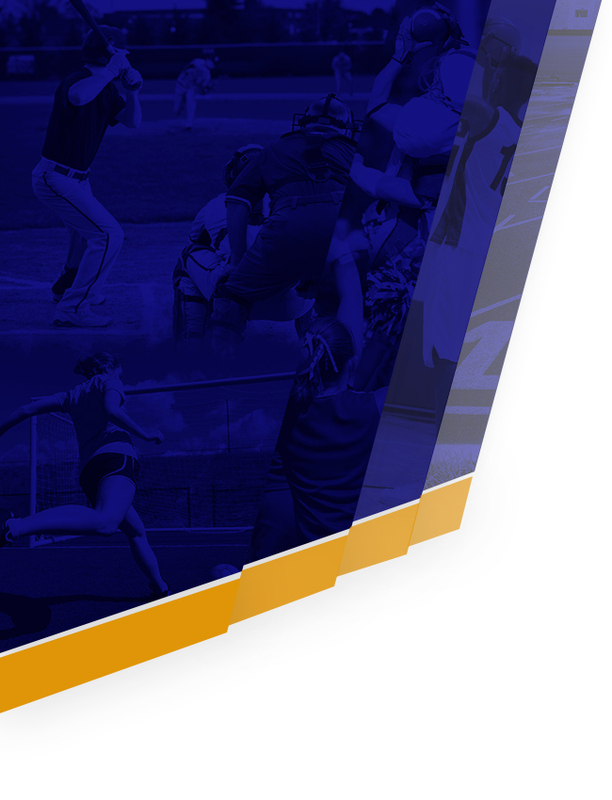 He has coached on the collegiate level as well as all classifications on the high school level. He has been a head coach at two different high schools and also served as Athletic Director. Coach Blanchard is a graduate of Charleston Southern University and is a member of their Athletic Hall of Fame. 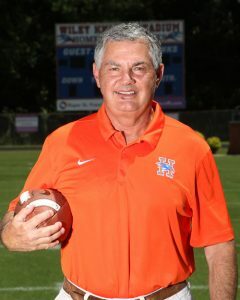 Coach Pratt has over 40 years coaching experience including 11 years coaching at Hanahan. He earned a BS degree in Social Studies from Presbyterian College and currently coaches the quarterbacks. He is a member of the Woodruff HS Hall of Fame and the SC Track Coaches Hall of Fame. 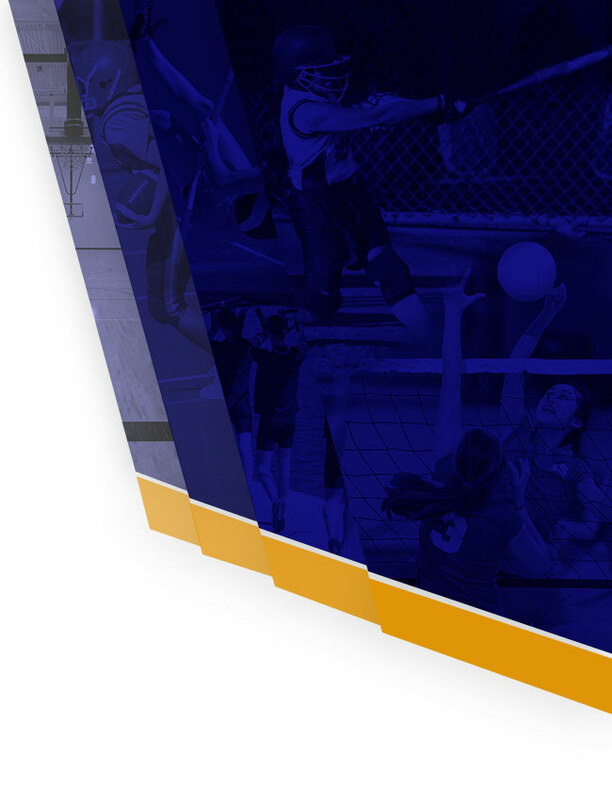 Fifteenth year within the Berkeley County School District. He is also the head varsity basketball coach. Pieter is married to Tiffany, an English teacher at GCHS, and they have five children: Leah (18), Alisandra (18), Noelle (14), Emily (13), and TJ (4). 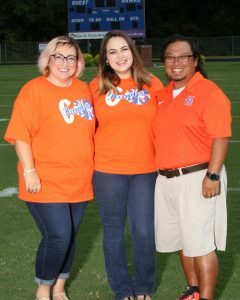 Coach Johnson is married to Gerri Johnson, Library Assistant at HHS, and they have two children, Kimberly a Sophomore at College of Charleston and Eric who is in 7th grade at HMS. B.S. in Physical Education/ Secondary Education from Charleston Southern University in May 1999. 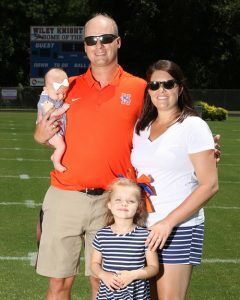 Coach Finch is married to Lindsay, and they have two children Adelyn & Everly. 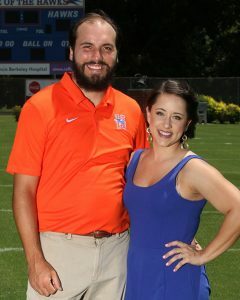 This is Coach Finch’s first year at Hanahan High School. Coach Finch has coached at Berkeley for the past 7 years, mainly coaching the varsity offensive line. Coach Blanchard is entering his 2nd year coaching. Played quarterback at The Citadel from 2006-2009. Career leader in TD passes and single season all purpose yards. Played professional football in Italy. Married to Kelly Blanchard and has two sons, Braxton and Beau. 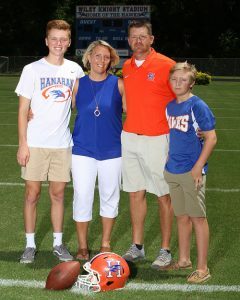 Entering his 1st year coaching JV football at Hanahan; 2 years as Varsity Girls Basketball coach; spent 5 years coaching JV football at Goose Creek High School in the early 90’s. Teaches Media Technology, and occasionally freelances for ABC News4. Worked at The Citadel from 2006 to 2011 in the athletics department as the video coordinator for their video board and other athletics. Graduated from The Citadel in 1992 and from Trident Tech in 1995. Married to Mrs. Ada Samonte.